How Far is EV Avani? EV Avani is a new redevelopment project by EV Group at Plot-16, Sector – 9, Vashi, Navi Mumbai. EV Avani, Vashi has smart 2 Bedroom Residences offering Sea Shore & City views. 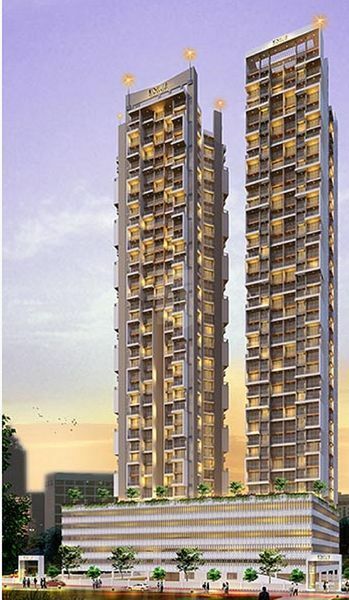 EV Avani is set to change the skyline of Vashi, Navi Mumbai. WALLS :Oil Bound Distemper Paint. FIXTURES/FITTINGS : Concealed plumbing Conventional CP fittings. WINDOWS :Heavy Section Powder Coated Aluminium Sliding Windowswith Marble Sills. ELECTRICAL :Concealed Copper Wiring with adequate Electric Points Extensive Electric Layout Possible, Telephone Points, TV Points & AC Points. EXTERIORS : High Quality Gujarat Sand for external plaster Curtain glazing on staircase, Texture Finishing at designated walls.